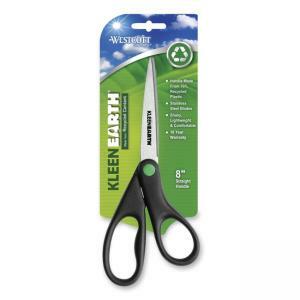 All-purpose, lightweight 8" scissors are made from 70 percent recycled material with 30 percent post-consumer material. Design features straight handles, stainless steel blades and adjustable blade tension for optimal performance. Scissors are designed for right-handed or left-handed use.